Netflix is adding more hip-hop-leaning content to its streaming service, a move that is always welcome from fans. 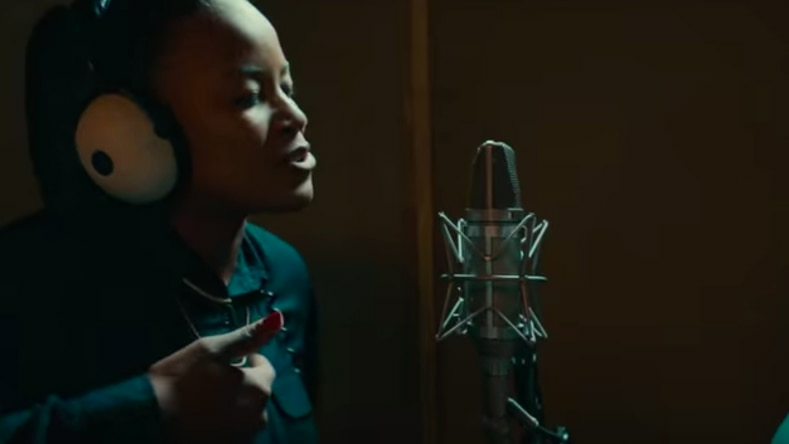 Earlier Thursday (Feb. 22), the streaming giant shared a new trailer for their forthcoming biopic about hip-hop pioneer Roxanne Shanté, to be titled Roxanne Roxanne. The biopic, which is directed by Michael Larnell and originally made its debut at the 2017 Sundance Festival, follows the 14-year-old MC (played by Chanté Adams) through her journey as a member of the Juice Crew hip-hop collective, documenting the hard-hitting realities she faced both in her personal life and in her come-up as an aspiring artist. The film, which tapped Roxanne Shanté as one of its executive producers to help ensure its authenticity, also stars Nia Long, Mahershala Ali and Beastie Boys' Ad-Rock (Adam Horovitz) among others. Additionally, it was co-produced by Pharrell Williams, Mimi Valdes and Forest Whitaker. During a conversation with Rolling Stone, Shanté revealed that Ali's role as her abusive significant other proved to be especially challenging for him, with the Oscar Award-winning actor confiding in her about the role's difficulty. "Mahershala told me, 'This has been one of the most difficult parts I've ever had to play. I'm having a hard time sleeping because of what your character goes through because of me,'" she shared with the publication. "So how do I react to that? Do I say, 'Oh good, so that means you're feeling the part!' Or do I hug him? So what I wind up doing was just hugging him and saying, 'Well, you know what, it turned out good after all.'" Take a look at the trailer for Roxanne Roxanne, which is set to premiere on Netflix on March 23, below. Roxanne Shante: "Someone needs to open up the door and if that needs to be me, I'm fine with that"